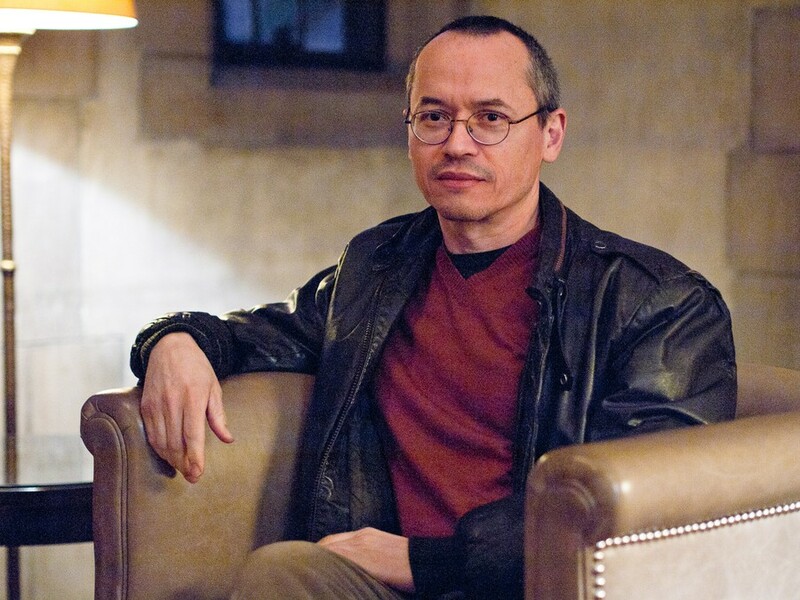 Joe Sacco wields both an artist's pen and a journalist's. Acclaimed graphic writer Joe Sacco came to the U of C as the Dedmon Writer-in-Residence for two days last week to speak with students about his work. Sacco’s prominent works include books on Palestine and the Bosnian Civil War. Sacco has won the Eisner Award, the Ridenhour Book Prize, and a Guggenheim Fellowship. The Maroon spoke with Sacco about his work, his early start with drawing, and the limits of journalism. To see the complete interview, go to www.chicagomaroon.com. For coverage of Sacco’s reading last Tuesday, flip to page 19. Chicago Maroon: How do cartoons relate to journalism as a medium? Joe Sacco: Basically I would say the advantage of comics is they’re visceral. You open up a book and you can find yourself in a refugee camp in Gaza or in a town in Eastern Bosnia. We’re visual creatures, and I think drawings can put us into a scene. Through multiple drawings, because comics are a series of multiple drawings mostly, you can get a sense of the atmosphere of a place, perhaps easier than one photograph. The real thing about photo journalism is they’re trying to use one photograph, one image, to sum up a whole situation, whereas with comics, many images create sort of an atmosphere. CM: We’ve heard that you’re currently working on a project about poverty with journalist Chris Hedges. Could you tell us about it? JS: There’s prose in it and it’s his prose; then there are comics which are based on his interviews, my back-up interviews, and I’m also doing illustrations just to show what places look like. It’s hard to cover the whole United States, so we just picked places that represent certain things. One of those is Camden, New Jersey, [also] Pine Ridge Indian Reservation in South Dakota, Amocoli, Florida, where migrant workers are doing harvesting of crops, especially tomatoes, and coal mine areas of West Virginia. To his mind and to my mind, each of those represents something about America, but ultimately about the triumph of capitalism. So we’re just seeing how people live. The book ends with the Occupy movement. We actually went to New York and spent some time at Zuccotti Park to see the pushback. CM: What do you think is the place of graphic writing in today’s literary world? JS: There was a time when I was starting out, when it felt like a backwater, and now you get good reviews, sometimes better reviews than you deserve, because people don’t know how to judge it. So we’re at this golden moment when we’re getting a pass. CM: Why do you find yourself so interested in politics? JS: I’m interested in a lot of other things, but comics just take so much time so that it looks like you’re just obsessed with certain subjects. If it takes me seven years to do a book about something or five years or whatever, it looks [like] you’ve really devoted a lot of your life to this, and I have, but there are a lot of things I’m interested in. If you had to really look at it, I think it’s a matter of social justice. That’s what interests me. Things bother me. They anger me sometimes and they motivate me to do something—whatever it is. I’m not saying what I do is effective. I just have to do whatever I can do to find out about this and tell people about it. It’s a simple sort of equation. If something bothers me, I want to do something about it.